I get it, I know that I went MIA for a while. To be honest, I kept wanting to come back and write and update about the things going on. For some reason though, I never was able to bring myself to do it (this post even took a week from when I first started writing it to the time I posted it). I lacked the drive I kept up for so long. Writing became a chore for a while. Even thinking of something to write about became a chore and I didn’t like it. I’m sorry. I’ll try not to go MIA again, at least for a long time. It’s been a month since I last checked in, so things must have happened in that time, right? 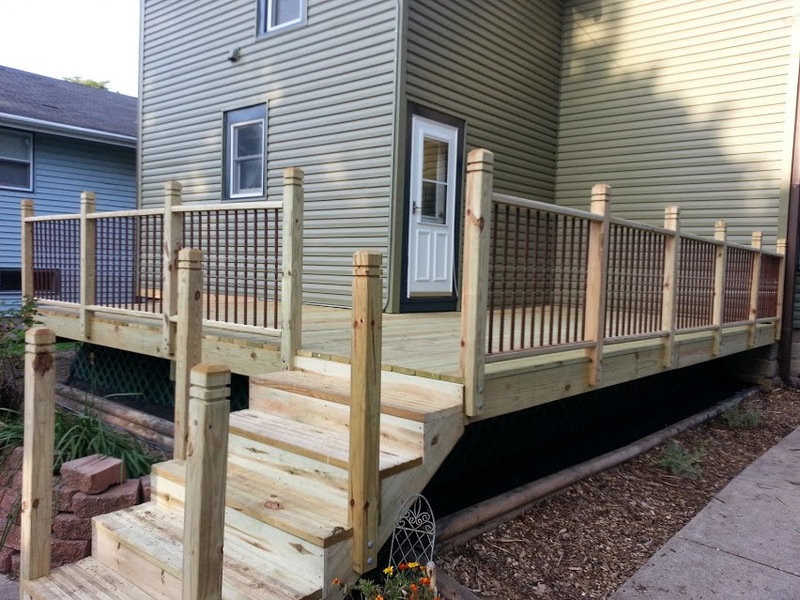 Well, to start off, I helped my dad once again build their new deck. They’ve since made more progress on it and it should be nearly done in the coming week or two. After that’s finished, I’m helping my dad re-side the garage, maybe some painting too. The deck after the second day I helped build it. Ellie and I also took a small trip to celebrate the end of her temporary job and the beginning of her new job. Also, it’s nice to just take a trip from time to time to get away from work and obligations. We ended up in the Lake Geneva area for a few days. The weather wasn’t the greatest one of the days but we made the best of it. 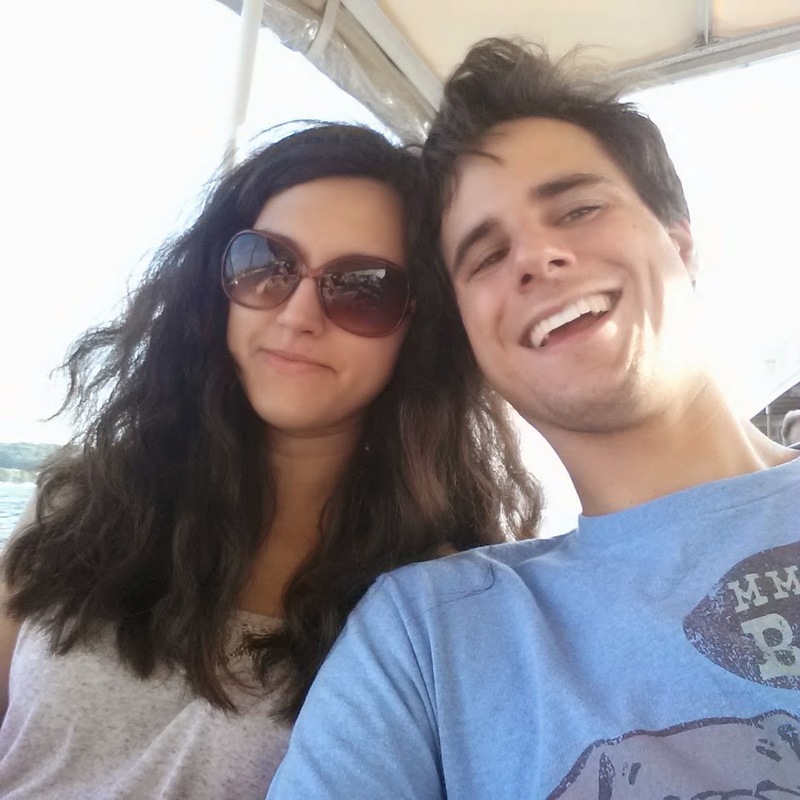 We still went kayaking and were touristy and ate a bunch of good food. The place we stayed in was less than great, but it came with added amusement. From the looks of it, it’s some sort of retreat for finding peace. It had a lot of Buddhist and zen things all around. We played with the chimes and the thunder stick thing and the drums. We also burned a patchouli incense because it was there. Never again. Later that same weekend, we moved Ellie out of her old apartment, and into her new. Moving is was exciting as it ever is. I did get to drive the Uhaul through the city, that’s never fun. Marley had to be taken to the vet again, she was pooping blood. The vet wasn’t concerned other than why I didn’t get her teeth pulled already. I explained it’s a money issue and she suggested I try Care Credit (a credit card that can be used for health and pets). So I signed up for that and I’m waiting for it to arrive so I can get her appointment made. With the Care Credit, I can pay her vet bills, interest free, in payments instead of the lump sum that the vet wanted. Finally, the magazine, Rust, has been keeping me busier than usual. I’m finally starting to get into the fun parts of it. Article ideas are coming in and I’m working with writers to get pieces for the website to supplement their print pieces. It’s a bit more than I expected but it’s great experience and I really enjoy it. It’s a far better version of the kind of work I do at my day job, mostly because the content is more interesting (technical manuals in foreign languages aren’t really stimulating). In the future, I’m going to try to refrain from being MIA. I swear. Look for an update on Marley’s health. I really love that cat a lot, and I want her to be healthy. I’m glad I have a way to pay for her procedure. I have also started working on the moped again. Yellow Thunder is the working code name. I plan on adding some updates here and there, if anything noteworthy comes along. I could have posted last night, but cleaning handlebars and replacing them isn’t really noteworthy. Not yet at least. Maybe it is, since I’m talking about it now. I don’t know. You’ll get moped updates. Also, I decided that in November, I’m going to try to win NaNoWriMo again. I’m going to do it right this time too. Last time, 2011 I believe, I didn’t have a plan for how the story was going to go and it shows in the writing. This time around, I’m basing it off of my experience in the Peace Corps. Loosely basing it off my experience. That outline is a lot more than I had last time. I also plan on outlining ahead of November. I even have a cork-board to tack it all up to. Updates for NaNoWriMo probably won’t start coming until late October or into November. What did you do while I was MIA? Anything noteworthy, or were you MIA as well? That’s great! When do the puppies get to use it? When the grass grows in. Dad thinks a couple of weeks. Who knows. Painting whenever we get a chance. He is off Thursday.